A Finish! Yes this week I am able to report my first finish of 2015. This was Bonnie Hunter's Mystery quilt from Nov 2014 and will finish at 90x90, another large quilt. I really like how this turned out, lot's of movement. I have a turquoise backing ordered from Sew Batik for this one. 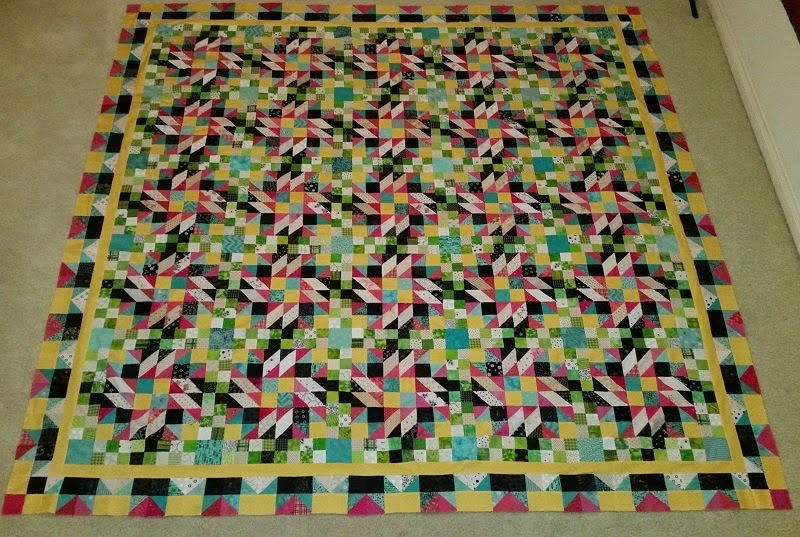 Also completed was my block for Sunshine Quilters which will be turned in tomorrow night. 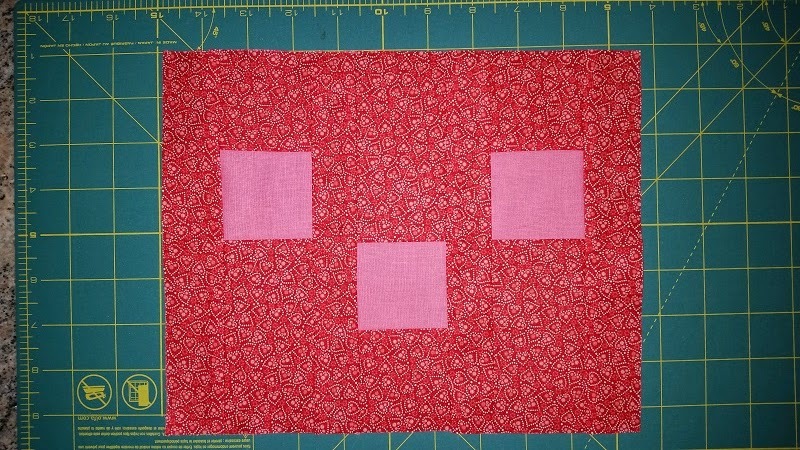 This was a super easy block to make and it will be interesting to see all the others and how it is arranged to make the quilt. All were to be made in Valentines fabrics. Thankfully no adds this week, so here are the numbers. Still in the red, but making progress. Now on to the next UFO! Net Fabric used in 2015: -3 yards.